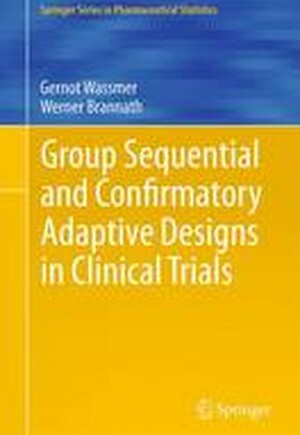 This book provides an up-to-date review of the general principles of and techniques for confirmatory adaptive designs. Confirmatory adaptive designs are a generalization of group sequential designs. With these designs, interim analyses are performed in order to stop the trial prematurely under control of the Type I error rate. In adaptive designs, it is also permissible to perform a data-driven change of relevant aspects of the study design at interim stages. This includes, for example, a sample-size reassessment, a treatment-arm selection or a selection of a pre-specified sub-population. Essentially, this adaptive methodology was introduced in the 1990s. Since then, it has become popular and the object of intense discussion and still represents a rapidly growing field of statistical research. This book describes adaptive design methodology at an elementary level, while also considering designing and planning issues as well as methods for analyzing an adaptively planned trial. This includes estimation methods and methods for the determination of an overall p-value. Part I of the book provides the group sequential methods that are necessary for understanding and applying the adaptive design methodology supplied in Parts II and III of the book. The book contains many examples that illustrate use of the methods for practical application.The book is primarily written for applied statisticians from academia and industry who are interested in confirmatory adaptive designs. It is assumed that readers are familiar with the basic principles of descriptive statistics, parameter estimation and statistical testing. This book will also be suitable for an advanced statistical course for applied statisticians or clinicians with a sound statistical background. Part I Group Sequential Designs.- Repeated Significance Tests: Procedures with Equally Sized Stages.- Procedures with Unequally Sized Stages.- Confidence Intervals, p -Values, and Point Estimation.- Applications.- Part II Adaptive Confirmatory Designs with a Single Hypothesis: Adaptive Group Sequential Tests.- Decision Tools for Adaptive Designs.- Estimation and p-Values for Two-stage Adaptive Designs.- Adaptive Designs with Survival Data.- Part III Adaptive Designs with Multiple Hypotheses: Multiple Testing in Adaptive Designs.- Applications and Case Studies.- Appendix - Software for Adaptive Designs.- Index.